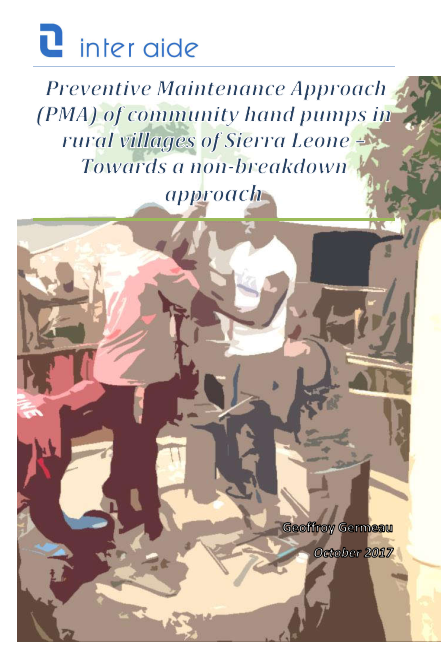 Inter Aide Sierra Leone has progressively tested, implemented and adapted a Preventive Maintenance Approach (PMA) in Bombali District of Sierra Leone. 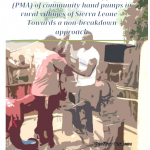 The PMA allows to target 100% functionality: 99% of the maintained hand pumps are in working conditions, only 6 out of 610 being non-functional. This entry was posted in Maintenance and tagged preventive maintenance; hand pump; sierra leone on October 20, 2017 by Mathieu.